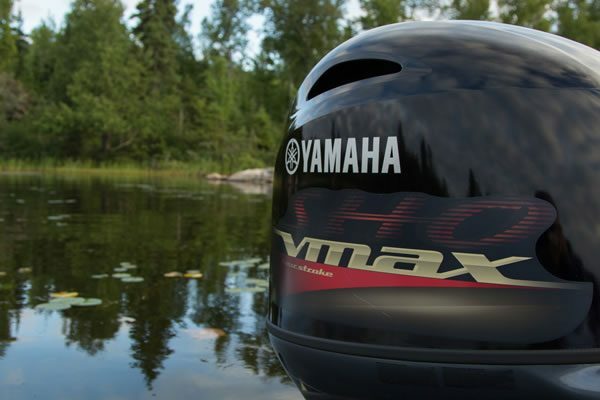 Yamaha expands the successful V MAX SHO family to include the 115-horsepower segment – where smaller boats and other craft play. And it’s every bit a V MAX SHO, compact, lightweight and capable of performance typically associated with two strokes, but with the convenience and quiet of a four stroke. Who could want more? 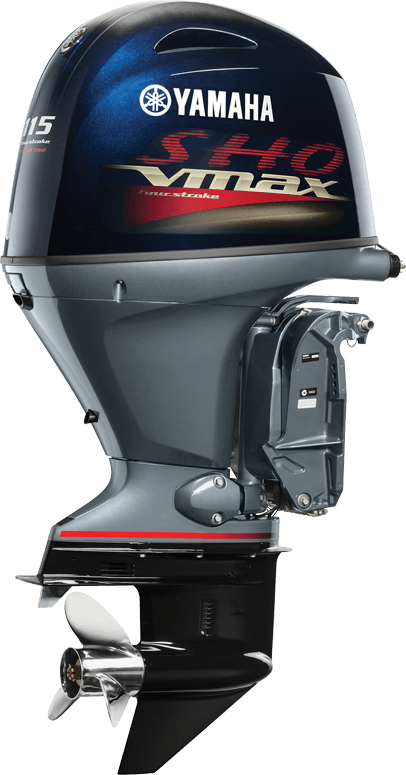 The 1.8-litre V MAX SHO 115 features Yamaha’s advanced 16-valve double-overhead cam (DOHC), four-cylinder design, which means better breathing for better performance. Those sixteen large intake and exhaust valves make more power and midrange torque. They are fed by a large (60mm) single throttle body with Yamaha’s long-track intake system and a free-flow exhaust. 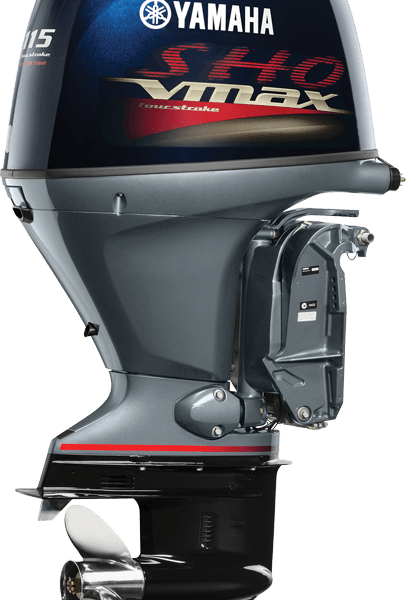 Full-throttle rpm range is 6,300, which means Yamaha can better tailor the gear ratio for low speed thrust and still deliver great top end. 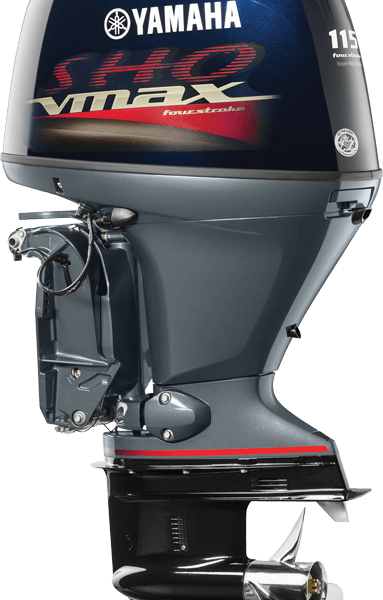 A knock sensor, an unexpected feature in this class of outboard, allows the engine to operate constantly at peak output. The result is great top speed, 3.65 miles per hour faster than that of the Yamaha F115. 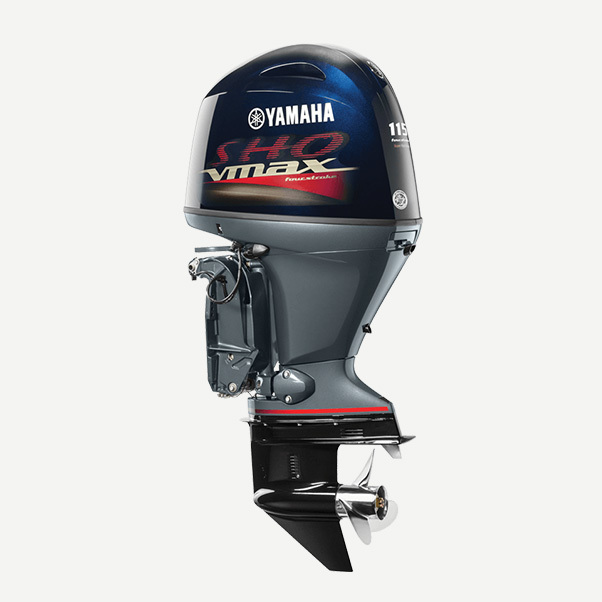 The V MAX SHO 115 is compatible with Yamaha’s variable trolling RPM switch (VTS), which allows anglers to adjust the trolling speed in 50 RPM increments from 600 to 1000 RPM using a Yamaha Command Link® gauge.